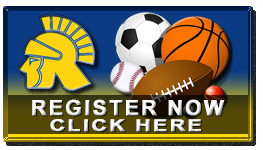 Parents, Complete Your Athletics Registration Online! 1. Each student athlete must have a completed WIAA Sports Physical Card on file at WWHS. This can be downloaded and submitted online during the registration process and/or a copy can be dropped off at the Athletic Office. We will need a copy on file at the school. Note: Physical examination taken April 1 and thereafter is valid for the following two school years; physical examination taken before April 1 is valid only for the remainder of that school year and the following school year. 2018-19 sports physicals must be dated 4-1-2017 or later. WIAA Alternate Year Cards are to be completed every other year. This can be downloaded and submitted online during the registration process and/or a copy can be dropped off at the Athletic Office. We will need a copy on file at the school. 2. Parents & Athletes should read the High School Activities Code Handbook and WIAA High School Eligibility form. 3. Coaches Expectations signed and dated by parent/guardian & student for each sport that you participate in. 5. Activity Fee Payment, payable to Wausau West High School. This fee should be paid at the West High School business office (main office). Coaches will receive a composite list of whom has paid. Yo do not need to turn in individual receipts. 6. Concussion/Head Injury - Participant and Parental Disclosure and Consent Document, Required by State Law. 7. A parent or guardian and athlete must attend one Sports Meeting per school year, The Fall Sports Parent & Athlete meeting will be held on Monday, July 30, 2018 OR Monday, August 6, 2018, at 6 p.m in the Auditorium. Please be sure to sign in at the meeting. Note: If you are participating in multiple sports, a $50 activity fee (unless otherwise stated) for each sport will need to be paid. ONLINE FORMS CHECKLIST (Online registration and submission fulfills each of the forms below. You are not required to print off any forms for the office as we will have your signature as documentation that you (and your student athlete) have read and accepted each of the items below.